One of the many things you must do if you plan on adding a V8 to any early Chevy truck is to remove the old torque tube rear end and replace it with an open drive line and modern differential. 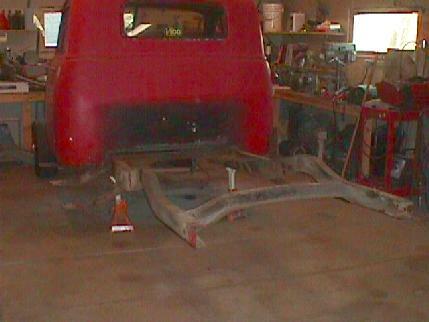 This segment will illustrate how I did it on my '53. Here is the stock rear end and suspension in place prior to removal. Certainly not up to today's standards by any means. Not only is the rear end not strong enough to handle the power put out by modern V8's but it is geared for pulling stumps which would tend to make highway driving difficult. 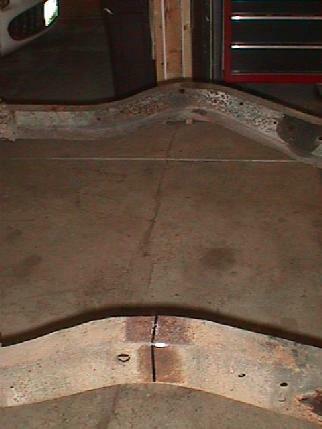 After removing the suspension and rear end you can see the natural curve of the rear frame. 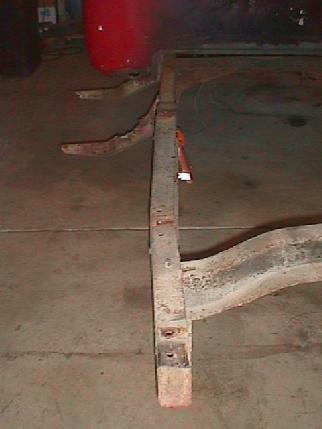 The stock springs echo the angle of the frame and wind up angled in at the front about 10 degrees. Parallel springs work best when they are parallel and we will correct this with the installation of the new rear end. 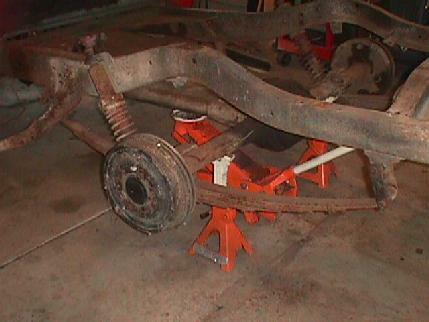 Before removing the old rear end the centerline of the axle was determined and transfered to the frame so the new axle can be located properly. After grinding off a lot of rivets and some sweat the old suspension was completely removed, brackets and all. We're now ready to start the installation of the new open rear end.